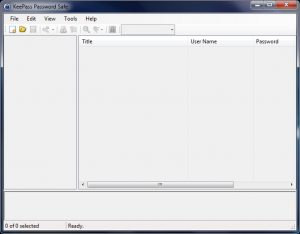 The first thing to do is to export any passwords that you might have saved in your browser. 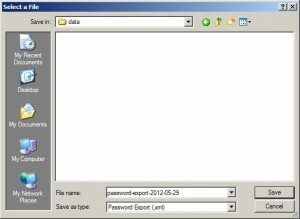 For that we’ll use the Firefox pluging – “Password Exporter”. Install it and follow the steps below. I’ll look into exporting from Chrome and IE and will update the article at a later time. 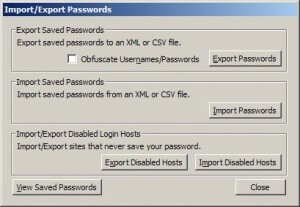 In Firefox, select Tools->Options->Security, then click the “Import/Export Passwords” button. 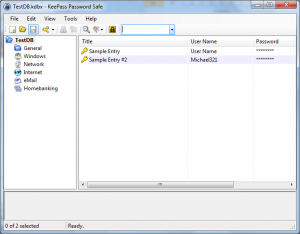 Download and install KeePass. 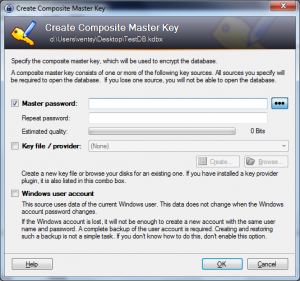 Downloading the binary installer is the easiest way to do that, but if you want to you can download the portable version and extract in on a tumb drive – that will allow you to run KeePass on any machine without having to install it. If you decide to install it, just follow the wizard – the default settings are fine, so just keep pressing Next. Once the application is installed run it – you see the main application screen. Now you want to create a new database to hold your keys. 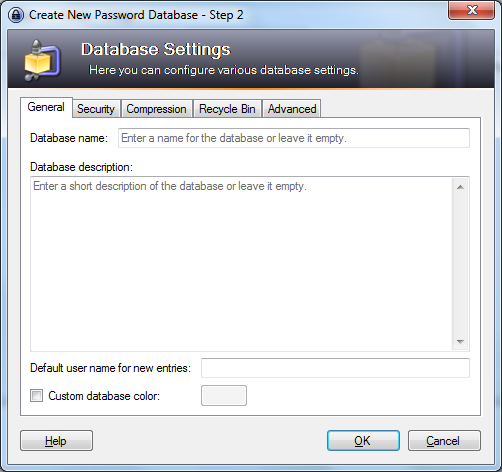 Click on the “New” menu icon and in the screen that pop ups, give the new database a name and a master password. Now we have a working database that has two sample entries (see below). The folder tree on the left helps you organize your keys. You can right click on a folder and create sub-folders, drag and drop folders to re-arrange the hierarchy and obviously delete them. The initial set of folders are not special, they are just regular folders with icons assigned to them. You can do that for the once you create as well. 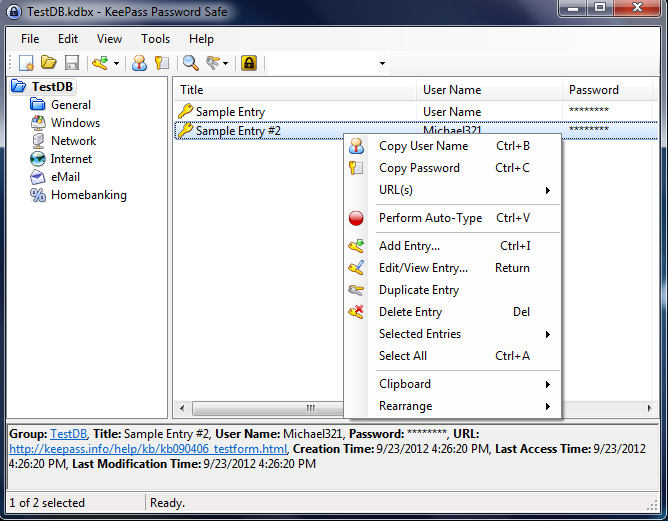 If you right click on a key entry, you can copy the user name and password to the clipboard. 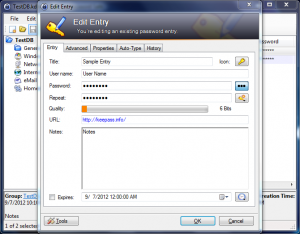 Each key entry can have an URL associated with it. You can open that URL by selecting the appropriate browser from the URL entry in the drop-down. To edit the entry, click Edit/View Entry. Here is what the edit screen looks like. 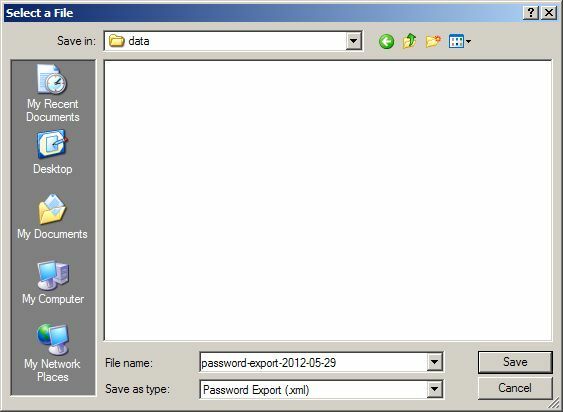 There is a meter showing the strength of the password, and you can see the password by clicking the little dots next to the password field. 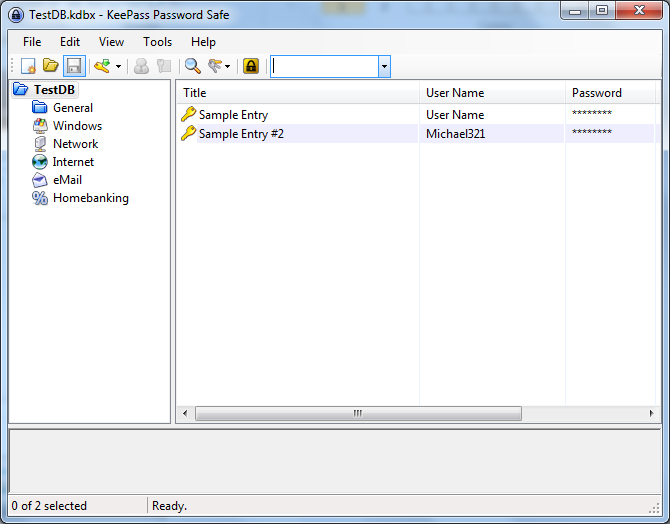 You can also generate random password using the password generator, by clicking the gear button next to the repeat field. Now comes the cool part. You can integrate the password manager with your browser, so when you open an URL, the appropriate username / password combination is automatically filled for you. 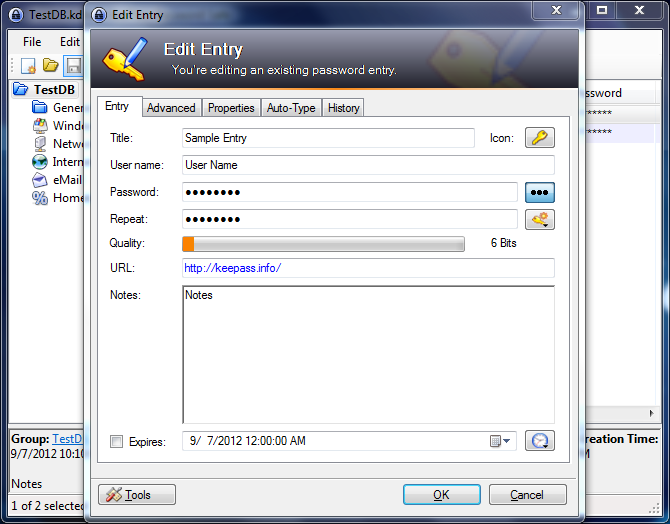 As a matter of fact, there are a whole bunch of plugins on the KeePass website that provide interface to pretty much anything you can think off. The two I’ve used are PassIFox and ChromeIPass for Firefox and Chrome browsers. The installation is fairly straight forward, plus there is a very detailed instruction, so I won’t go over that. Using the plugin is super simple. 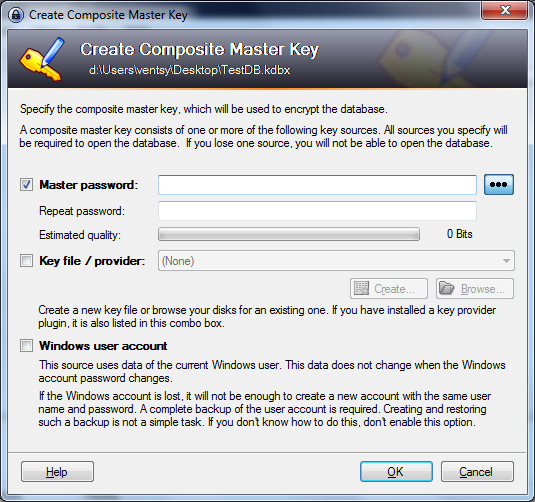 You start KeePass, mount the password file by using your master password and start the browser. That’s it. When you open an web address that has a key entry associated with it, the username and password will be filled in automatically. If there is more than one entry for a given URL, you can pick which one to use by clicking the plugin icon that is shown in the address bar. 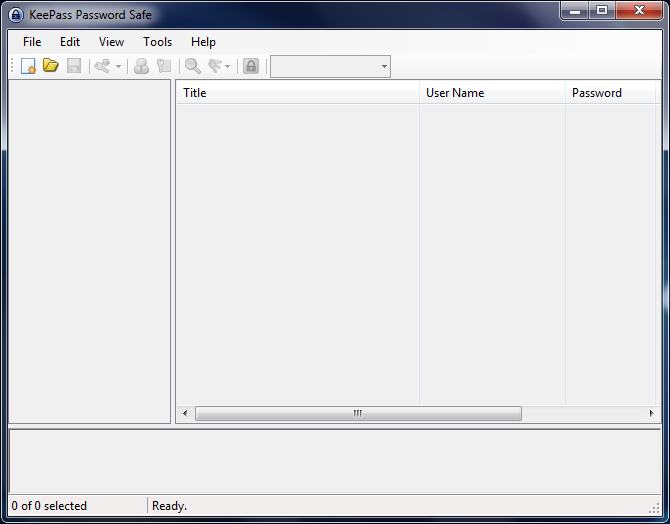 That icon will also show you if the plugin can’t connect to the password database. Usually that’s because you don’t have it mounted. Just mount it and refresh the page and everything should work. 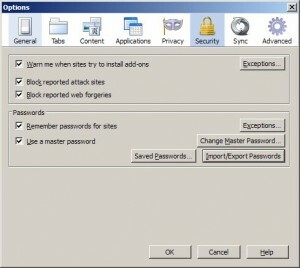 Some sites have multiple username/password fields you can right click on the one you need, and select where the username and/or password should go. Finally, if the website has some sort of java popup which confuses the plugin, you can always copy and paste the password, or use the auto-type function. The auto-type is pretty cool. 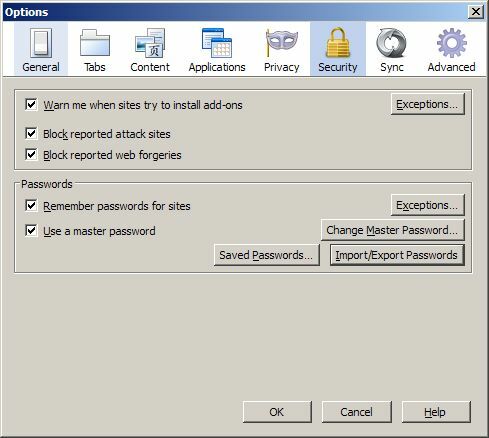 Open the page you want in the default browser, make sure it’s the selected tab, then open KeePass, select the password entry, right click on it and select “Perform Auto-Type”. 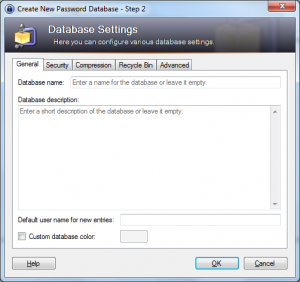 The browser window will come up, and the username/password will be typed in the appropriate fields. 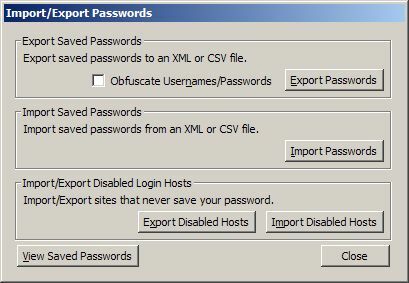 If you imported any old passwords, now it’s the time to look through them and close any accounts you no longer need. You’ll be surprised how many things you forgot about are still there – most companies tend not to delete any user accounts, even if you haved used it half a decade. 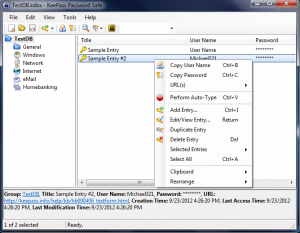 Little by little, you can also change your passwords with long complicated ones generated by KeePass’ password generator. Next, I’ll show you what I did to be able to access my passwords on virtually any computer and even my phone. So stay tuned. post is just cool and that i could assume you’re a professional on this subject.